Fredrik Logevall is the author or editor of nine books, most recently “Embers of War: The Fall of an Empire and the Making of America’s Vietnam” (Random House 2012), which won the Pulitzer Prize for History and the Francis Parkman Prize, as well as the American Library in Paris Book Award and the Arthur Ross Book Award from the Council on Foreign Relations. 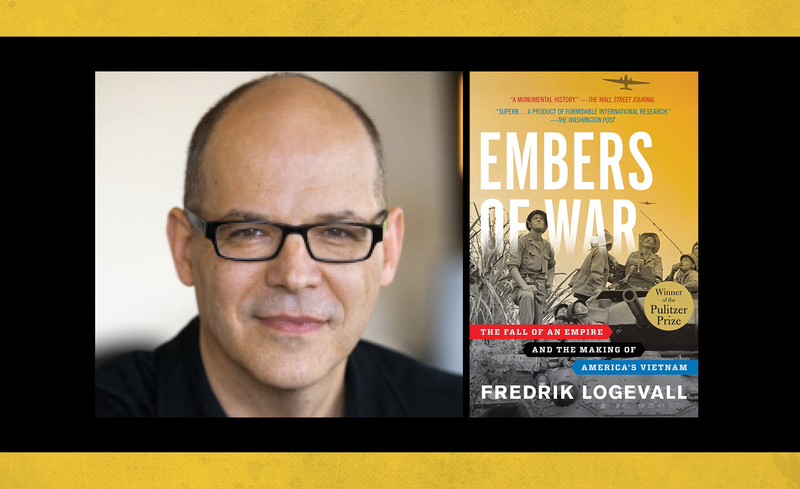 As a specialist on U.S. foreign relations history and 20th century international history, Logevall writes in “Embers of War” about the collapse of French colonialism and the American war that followed in Vietnam. Logevall serves as the Laurence D. Belfer Professor of International Affairs the Harvard Kennedy School of Government and Professor of History in the Faculty of Arts & Sciences at Harvard University. Following his presentation, Dr. Logevall will sign copies of “Embers of War: The Fall of an Empire and the Making of America’s Vietnam,” which will be available for purchase.